Create, update, and grow your mailing list. Zoho Campaigns lets you easily create, edit, and segment mailing lists according to your campaign needs. Have a well-maintained mailing list, communicate with your target audience better. Organize your subscriber details in no time. 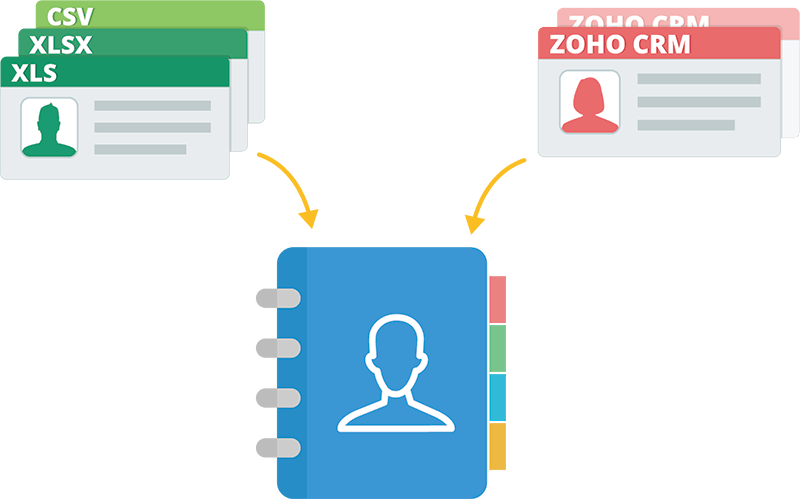 With Zoho Campaigns, you can import subscriber details from an Excel sheet or your Zoho CRM account with ease. 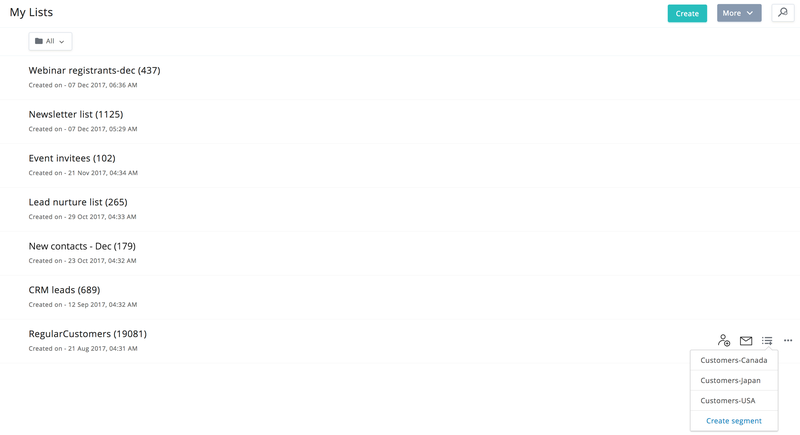 And you can make use of the API to import them, in case you are using any other CRM tool. Have just a few subscribers to add? Manual entry is still available, so you can add them one by one as needed. Know the health of your mailing list. You can create mailing lists by importing subscriber information from your CRM tool or from signup forms on your website. Don’t worry about duplicates, bounces, and unsubscribes, as they are automatically removed. Zoho Campaigns makes sure your list is clean, as health of your list determines the success of your campaigns. Segment your mailing list for a targeted reach. One of the best ways to reach the right audience is by creating segments. Segmenting your mailing list helps you send relevant content to relevant people. You can segment your list based on various criteria. For example, if you are running a sporting goods store, you can segment your list based on different types of sports and send out offers accordingly. Add signup forms. Get more subscribers. 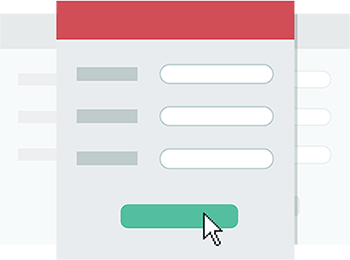 Zoho Campaigns features plenty of signup form templates for you to pick from. You can choose one and place it on your website, blog, or social media sites to let the audience opt in for your newsletters, with subscribers automatically added to your mailing list. The main advantage of using a signup form is that only those who are really interested in knowing about your products and services opt in for your newsletters. That means you don’t receive any spam complaints or unsubscribes. Reach your smartphone audience with ease. To make things easy for the smartphone users you can embed a QR code onto your website. The audience can scan the code and immediately get added to your mailing list.